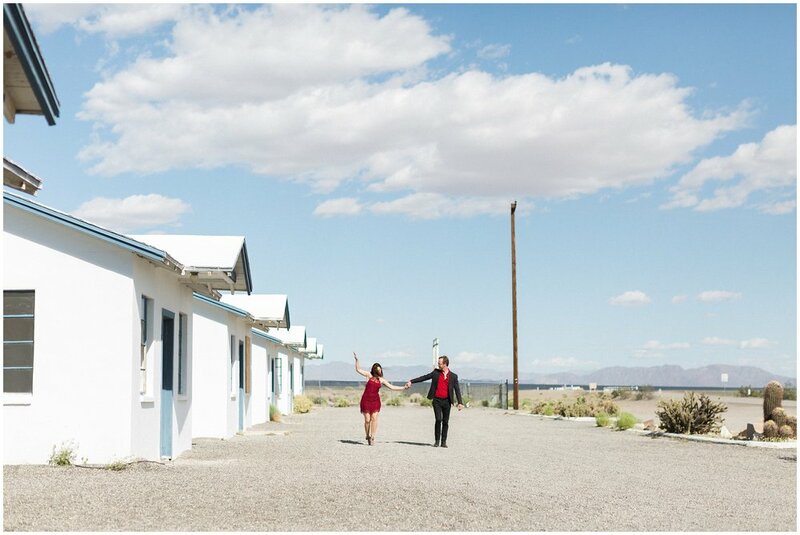 Carlee and Brian's Rancho Dos Pueblos wedding was featured on Santa Barbara Wedding Style's Real Weddings blog! Click here to see my full blog post with all the DIY details and here to see their Mammoth Mountain engagement shoot. 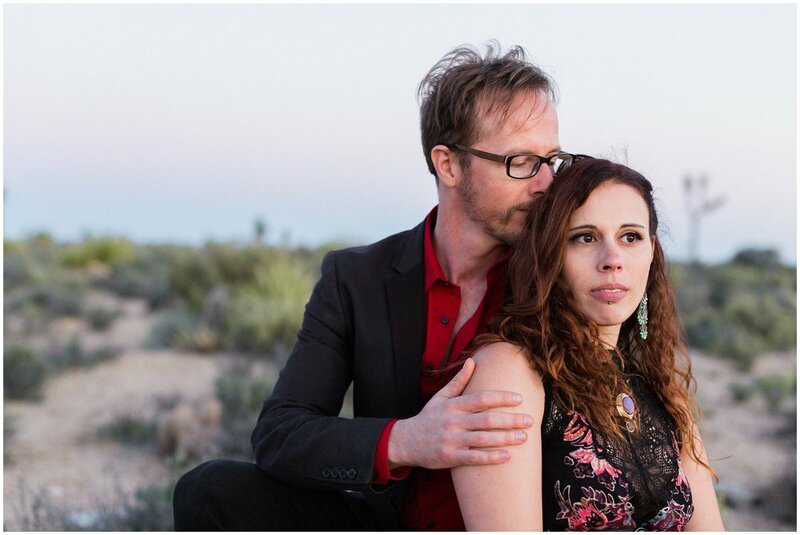 I was so excited when Chiara and Thomas told me they wanted to head out to the desert to shoot their engagement photos. This was my first trip to Joshua Tree and it did not disappoint! 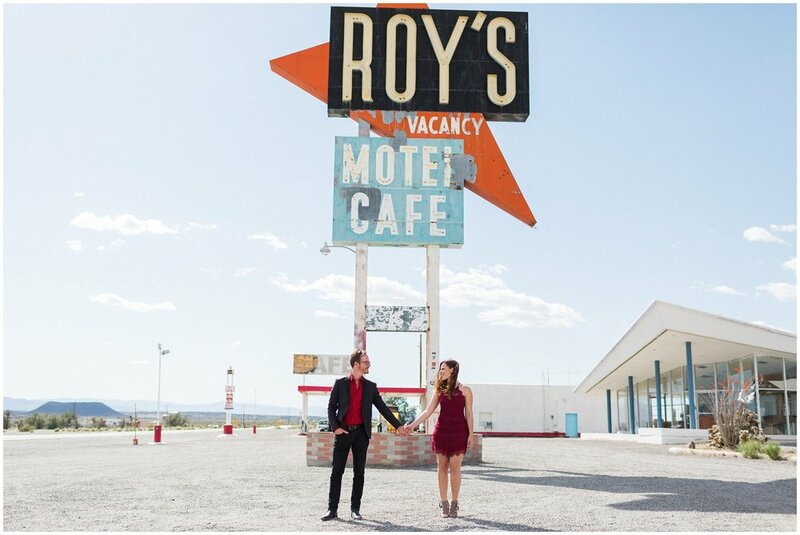 We started out shooting at Roy's Motel Cafe, an iconic stop on Route 66, which holds a special place for Chiara and Thomas because it was the road they took across the country on their first road trip together. When I asked about the road trip, if it was hard or if they fought, Thomas said to me, so seriously, "No, we're soulmates." After spending the day with these two I truly believe him! They are clearly crazy about each other, which made it easy to photograph their genuine emotions and bring their love to life on camera. 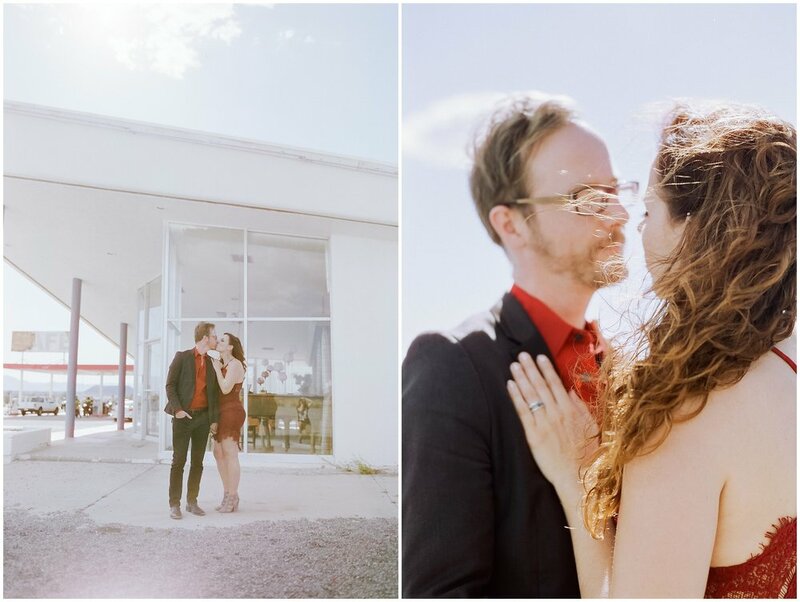 Chiara and Thomas hired me specifically because they wanted a photographer who shot film, so we got creative with double exposures and experimenting with different film stocks. This was also the first time I got to try out my Hasselblad medium format camera; I love the 6x6 square format it uses! I can't wait to shoot their wedding in November in Palos Verdes!